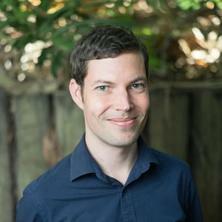 Ashley Paine is an architect and Senior Lecturer at the University of Queensland. His research, teaching and practice are all broadly concerned with the history, theory and design of architectural surfaces, focusing particularly on issues of ornament, pattern, colour and the façade. In 2015 Ashley completed his PhD on the history and artifice of striped architecture, which surveyed the techniques and striking visual effects of banded polychromy across more than two thousand years of Western architecture: from Roman wall construction through to the recent work of Mario Botta. Ashley also holds a Master of Arts in Visual Arts (Research) and a Bachelor of Architecture (Hons. I) and for which he was awarded a University Medal. He is also the recipient of numerous other academic awards and prizes, and is the author of a number of conference papers and publications for leading international journals including, AA Files (UK), The Architectural Review (UK), and Interstices (NZ). Ashley’s current research builds upon and expands his existing studies to include the investigation of authenticity in architectural heritage, as well as contemporary architectural practices and their relation to the visual arts. In architectural practice, Ashley has more than fifteen years of experience across residential, commercial, education, institutional, interiors and heritage projects. His work has been recognised with numerous awards from the Australian Institute of Architects (AIA) and the Design Institute of Australia (DIA), including national awards for Public Architecture, Interior Architecture and Small Projects. Many of these buildings have also been published and exhibited internationally, including in the Phaidon Atlas of Contemporary World Architecture (2004), and at the Australian Pavilion at the 2006 Venice Architecture Biennale. In 2010, Ashley co-founded PHAB Architects (with Brant Harris) to develop his interests at the intersection of architectural research and practice. In particular, the practice focuses on heritage and adaptive re-use projects, as well as residential and small-scale public works. Recently completed works include the conversion of the historic Toogoolawah Condensery Packing Shed into a new community art gallery and workshop. Holden, Susan and Paine, Ashley (2018) Breaking Ground: Muir and Openwork. NGV Magazine, 13 68-73. Operative dialogues in the Landscape. What is Site and Landscape in the Architecture of Alvaro Siza Vieira? Is architecture art? A history of categories, concepts and recent practices. Macarthur, John, Holden, Susan, Paine, Ashley and Davidts, Wouter Pavilion propositions: nine points on an architectural phenomenon. Amsterdam, Netherlands: Valiz, 2018. Holden, Susan and Paine, Ashley (2018) Looking back, seeing through: contemporary Australian pavilions. Architecture Australia, 107 2: 104-108. Paine, Ashley (2017) Review: Northlakes Veterinary Hospital by Vokes and Peters. Architecture Australia, 4 July: 36-43. Paine, Ashley and Holden, Susan (2017) The art of reverence. Architecture Australia, 106 4: 73-76. Paine, Ashley and Harris, Brant (2015) Somerset Regional Art Gallery - ‘The Condensery’. Toogoolawah, QLD, Australia, PHAB Architects. Paine, Ashley (2015) The curious history of striped architecture. The Architectural Review, . Paine, Ashley (2013) Striped effects: the articulation of materiality and directionality in striped architecture. Interstices: Journal of Architecture and Related Arts, 14 68-78. Paine, Ashley (2011) The Problem of Stripes. AA Files, 63 70-73. Clarke, Amy and Paine, Ashley (2018). The rhetoric of reproduction: built heritage in a digital age. In: Kelly Greenop and Chris Landorf, Proceedings of digital cultural heritage: FUTURE VISIONS. Digital Cultural Heritage: FUTURE VISIONS, 2018, Brisbane, Australia, (112-130). 19-20 April, 2017. Paine, Ashley (2017). Rethinking replicas: temporality and the reconstructed pavilion. In: Gevork Hartoonian and John Ting, Proceedings of the 34th Annual Conference of the Society of Architectural Historians, Australia and New Zealand: 34, Quotation: What Does History Have in Store for Architecture Today?. Society of Architectural Historians, Australia and New Zealand (SAHANZ) Annual Conference, Canberra, ACT, Australia, (537-548). 5-8 July 2017. Paine, Ashley (2016). The rhetoric of authentic surfaces: gold Leaf in the recent work of OMA and Mario Botta. In: AnnMarie Brennan and Philip Goad, Proceedings of the Society of Architectural Historians, Australia and New Zealand: 33, Gold. Society of Architectural Historians, Australia and New Zealand (SAHANZ) Annual Conference, Melbourne, Australia, (550-557). 6-9 July 2016. Paine, Ashley (2015). Institutional polychromy: the striped architecture of Don Watson and Spence Jamieson. In: Paul Hogben and Judith O’Callaghan, Proceedings of the Society of Architectural Historians, Australia and New Zealand: 32, Architecture, Institutions and Change. Society of Architectural Historians, Australia and New Zealand (SAHANZ) Annual Conference, Sydney, NSW, Australia, (469-479). 7-10 July 2015. Kahn, Michael M. and Paine, Ashley (2015). The decorated synagogue: architectural appropriation and assimilation at Atlanta’s Temple. In: Paul Hogben and Judith O’Callaghan, Proceedings of the Society of Architectural Historians, Australia and New Zealand: 32, Architecture, Institutions and Change. Society of Architectural Historians, Australia and New Zealand (SAHANZ) Annual Conference, Sydney, NSW, Australia, (278-289). 7-10 July 2015. Paine, Ashley (2014). Principles for the definition of a striped architecture. In: Christoph Schnoor, Translation: The 31st Society of Architectural Historians, Australia and New Zealand (SAHANZ) Annual Conference. Society of Architectural Historians, Australia and New Zealand (SAHANZ) Annual Conference, Auckland, New Zealand, (567-578). 2-5 July 2014. Paine, Ashley (2012). Botta’s striped historicism: Historicism, myth and fabulation in Mario Botta’s stripes. In: Stuart King, Anuradha Chatterjee and Stephen Loo, Fabulation: Myth, Nature, Heritage: The 29th Society of Architectural Historians, Australia and New Zealand (SAHANZ) Annual Conference. Society of Architectural Historians, Australia and New Zealand (SAHANZ) Annual Conference, Launceston, Australia, (841-855). 5 - 8 July 2012. Paine, Ashley (2011). Facades and stripes: An account of striped facades from medieval Italian churches to the architecture of Mario Botta. In: Antony Moulis and Deborah van der Plaat, Audience: The 28th Society of Architectural Historians, Australia and New Zealand (SAHANZ) Annual Conference. Society of Architectural Historians, Australia and New Zealand (SAHANZ) Annual Conference, Brisbane, QLD, Australia, (1-15). 7-10 July 2011.